Deep Medi start a promising trilogy of experimental and loosely conceptual dub releases by Vegetable Orchestra member Ulrich Troyer. A lifelong Austrian native, Ulrich studied Architecture and Music in Vienna and released a lone single on that city's famous Mego label, 'Nok' in 2000, but 'Sounds For William' is most influenced by an abiding love of Dub music from King Tubby to Rhythm & Sound, mixed with the African influence of Mulatu Astake or Tony Allen, and Selda's mid-eastern psychedelia. Held up to the light, it's easy to hear traces of all those sounds here, but for comparisons we'd have to stick him somewhere between the freeform dubs of Ekoplezk, the Alpine folk of Hey-O-Hansen and Disrupt's efficiently nutty 8-bit riddims. 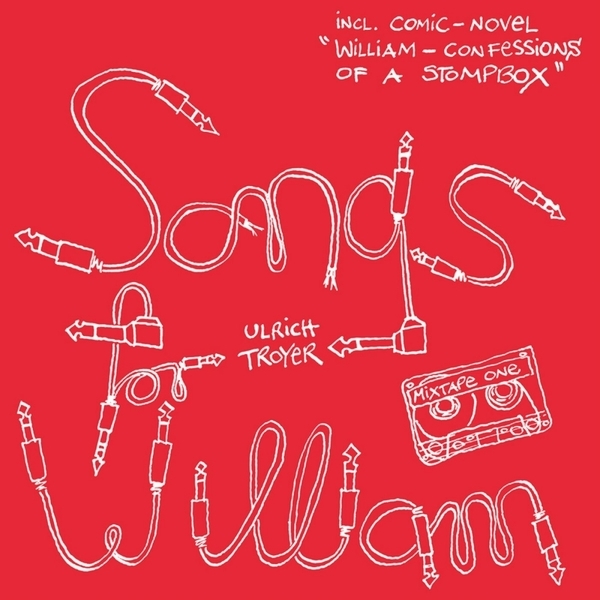 Everything you'll hear on 'Songs For William' was gleaned from a menagerie of analogue synthesizers, effects, stompboxes, samplers, guitars, percussion and melodica, and deftly woven into sparse but constantly evolving compositions dubbed-out at the 4Bit studio in Vienna.